Excessive moisture in a conventionally vented crawl space is one of the biggest crawl space concerns. As moisture increases in or under a structure, this increases the possibility of attracting and creating an environment that supports wood destroying insects (like termites), creates a space that encourages mould growth, and makes the structure susceptible to wood rot. Additionally, the effects of excessive moisture can negatively impact indoor air quality. 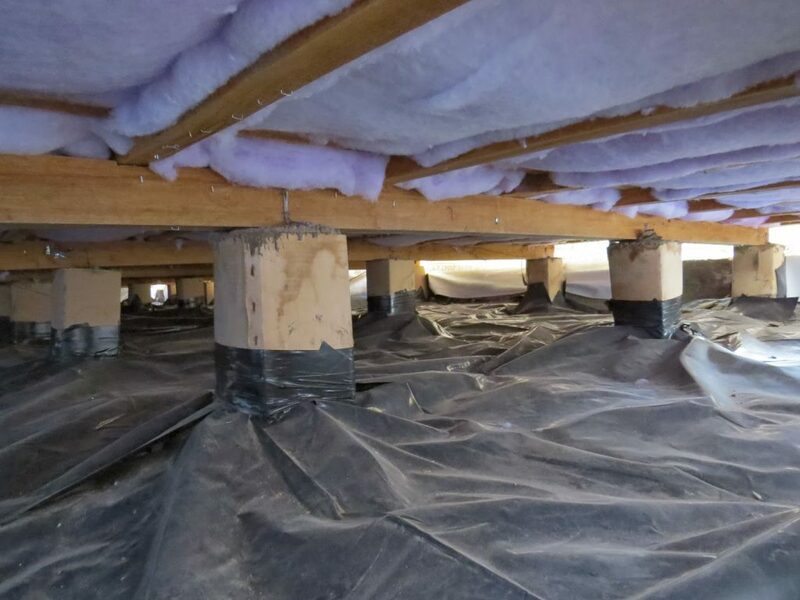 Sustain Energy Solutions protects your crawlspace or underfloor. We provide moisture control by using a high-quality vapour/moisture barrier to cover the ground. This system, along with proper drainage and a form of mechanical drying will provide great moisture control protection. Additionally, Sustain Energy Solutions can seal your vents and set up a dehumidifier. If you are having problems with moisture in your home, having Sustain Energy Solutions install a moisture barrier can help mitigate this problem. You may need water management also to get the full moisture issue under control. Why install a ground moisture barrier?